Black Tourmaline is one of the best crystals for protection, making it a powerful way for how to protect yourself from negative energy. It also helps to put an energetic boundary between yourself and others, so that you don’t pick up other people’s energy, than making it your own. 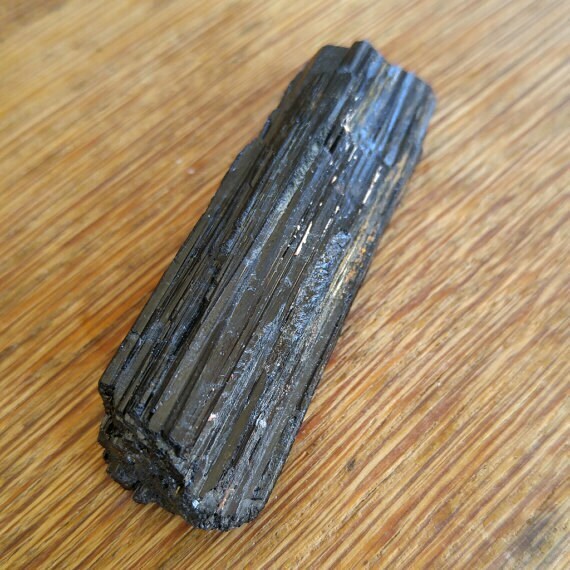 Listing is for ONE Rough Black Tourmaline Wand from Brazil. 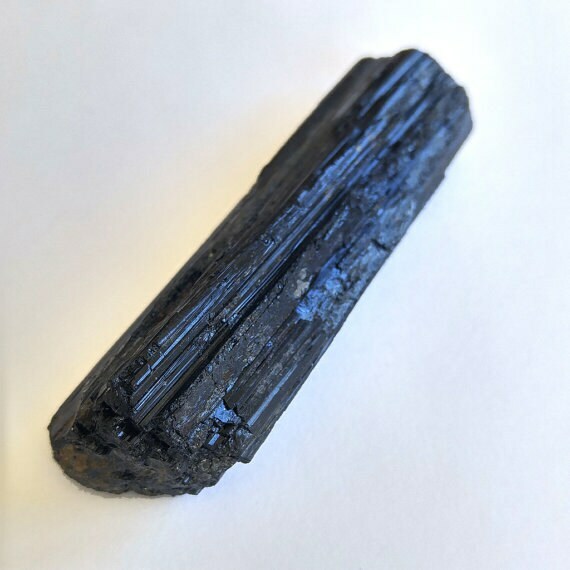 ***Because these Black Tourmaline Wand crystals are natural, there are no two pieces exactly alike, and they vary in shape. I really love the crystal stone I purchased from this Shop. It is great quality. The seller is also very nice. Interesting shape. More like a spear head than wand. It's cool.